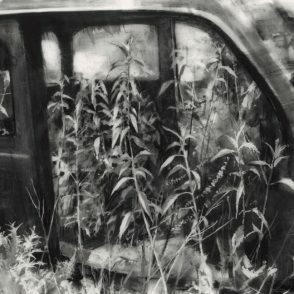 image: 10 x 12" | frame: 15 x 17"
image: 12.5 x 18" | frame: 18.5 x 24"
image: 18 x 12.5" | frame: 24 x 18.5"
image: 20 x 25" | frame: 26.5 x 31.5"
image: 12.5 x 10.5" | frame: 17 x 15"
Book Release and Opening: Saturday, February 24, 2-5 p.m.
For the past three years, Michael Kareken has been visiting auto salvage yards and creating drawings of the skeletal remains of cars and trucks he discovers in these automotive graveyards. 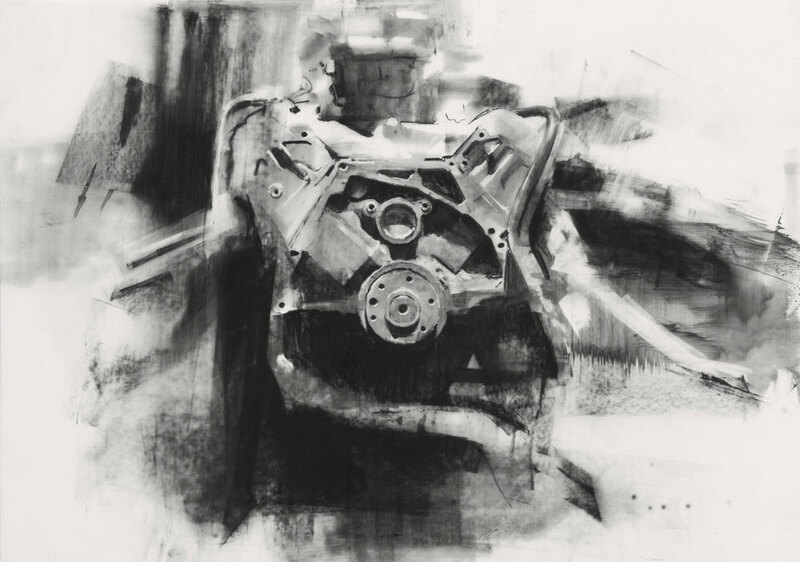 Over one hundred drawings have been selected to create the book, PARTS. 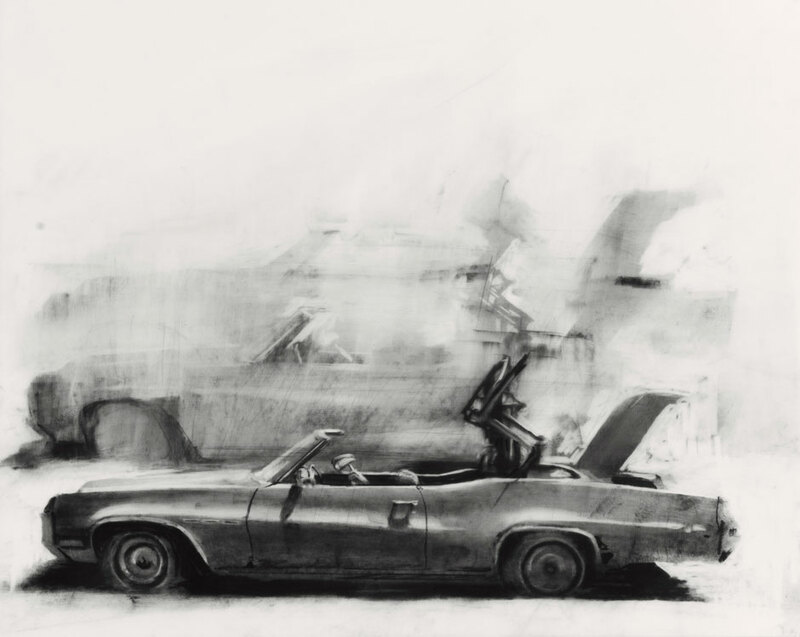 The accompanying exhibition will feature a selection of drawings that are included in the book. 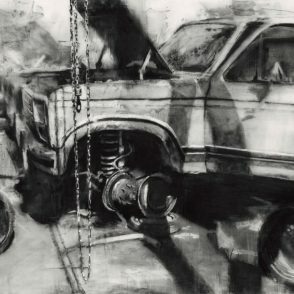 At these sites cars and trucks sit in row upon row, stripped of body panels, engines and other parts. 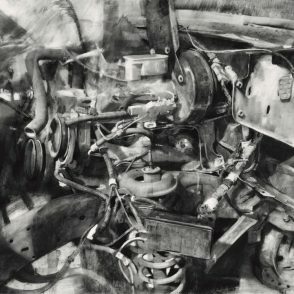 Engines have been wrenched from their compartments, leaving a tangle of cables and hoses; dashboards are peeled away to reveal the normally hidden inner workings and missing doors and seats leave the interior a hollowed-out skeleton. 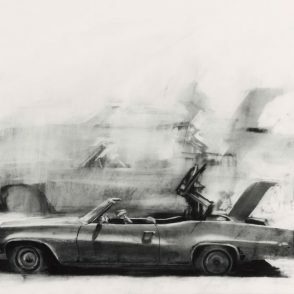 There is a disturbing sense of violation in the casual way the vehicles have been dismantled. 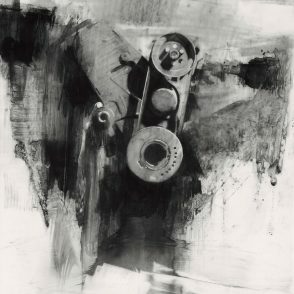 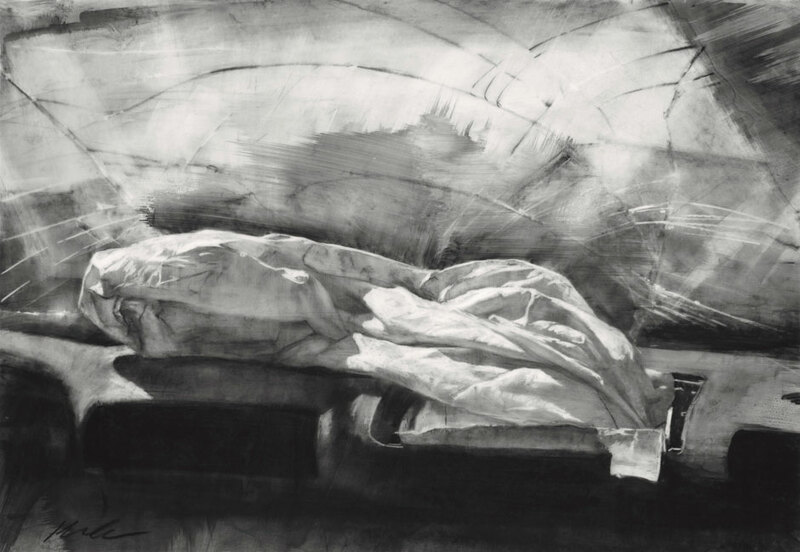 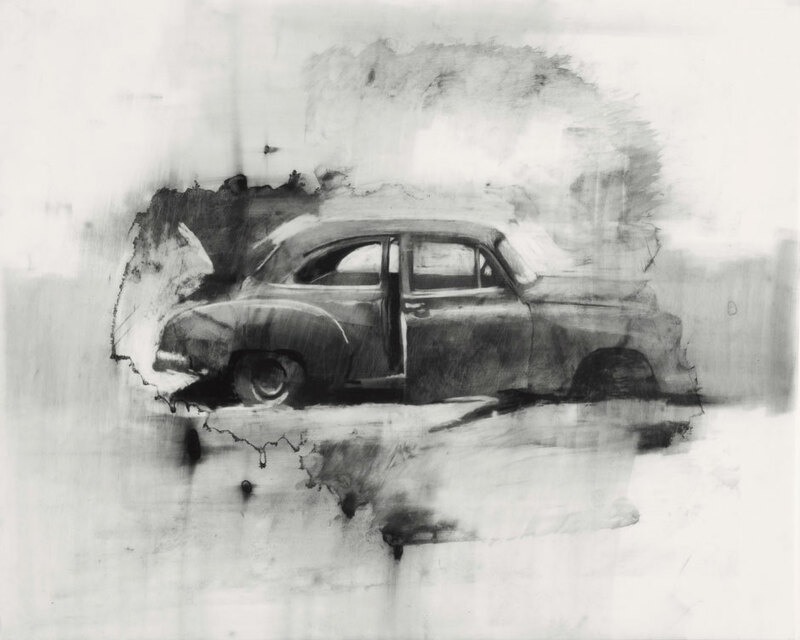 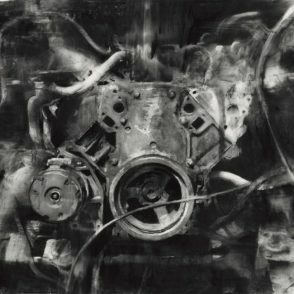 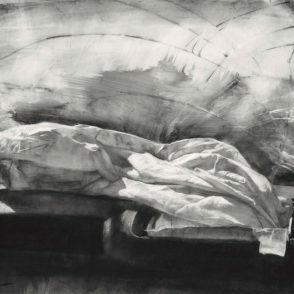 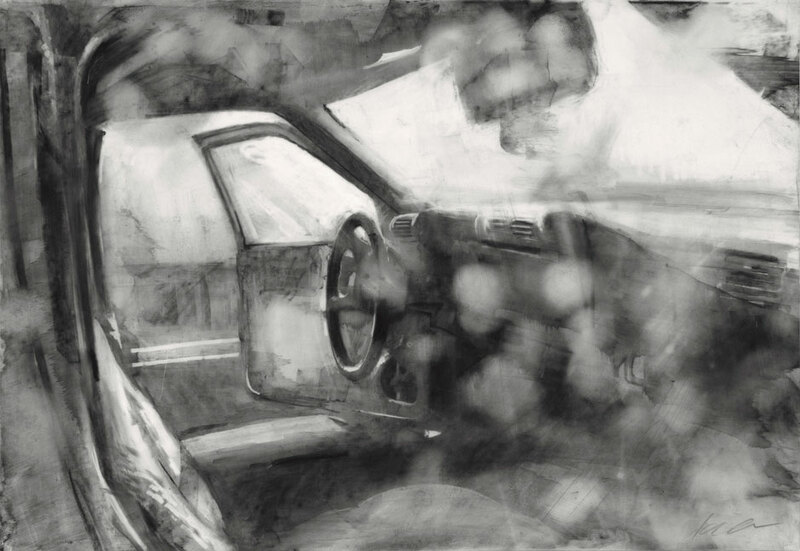 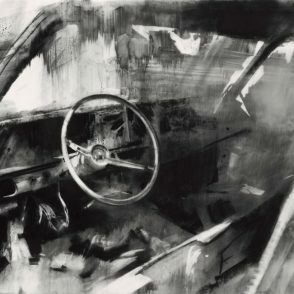 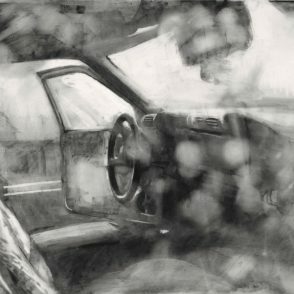 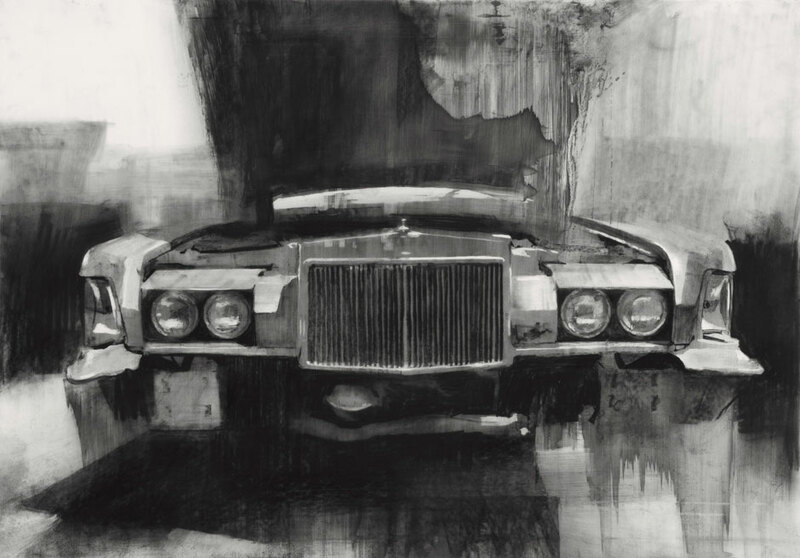 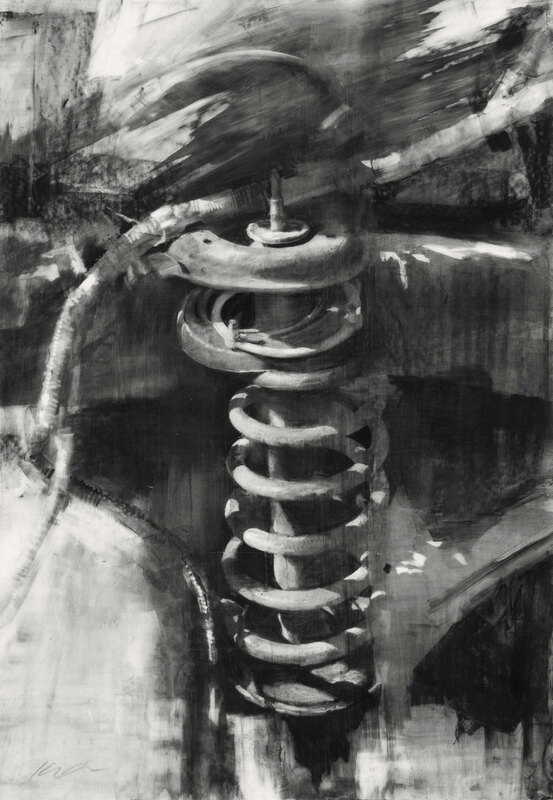 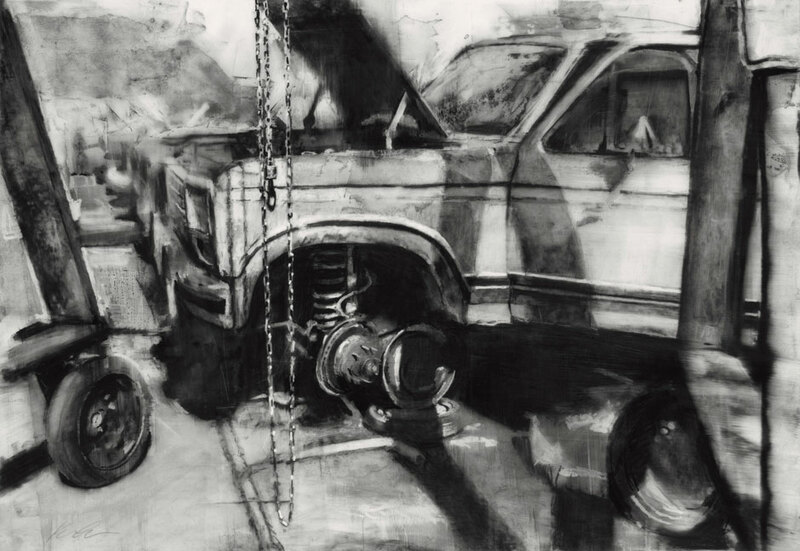 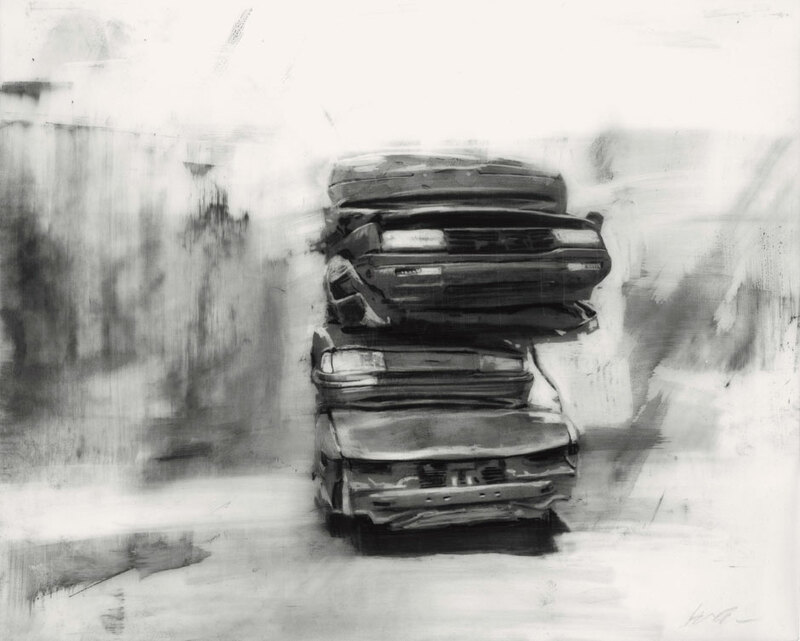 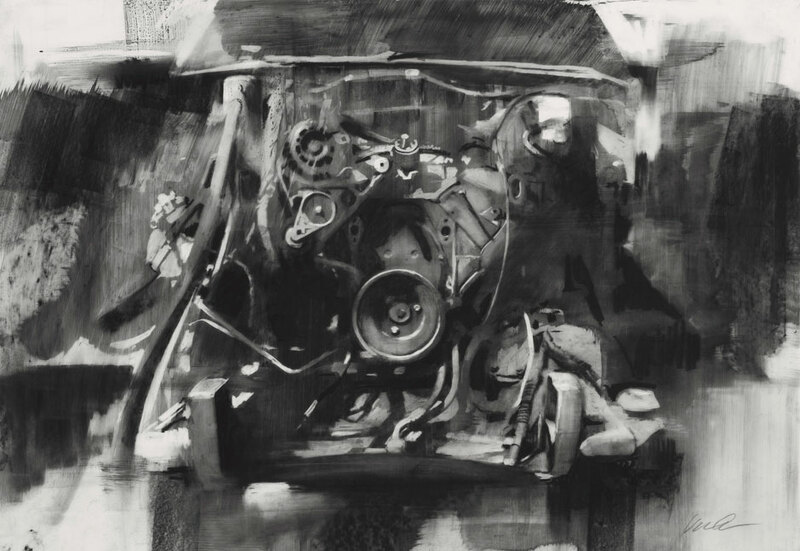 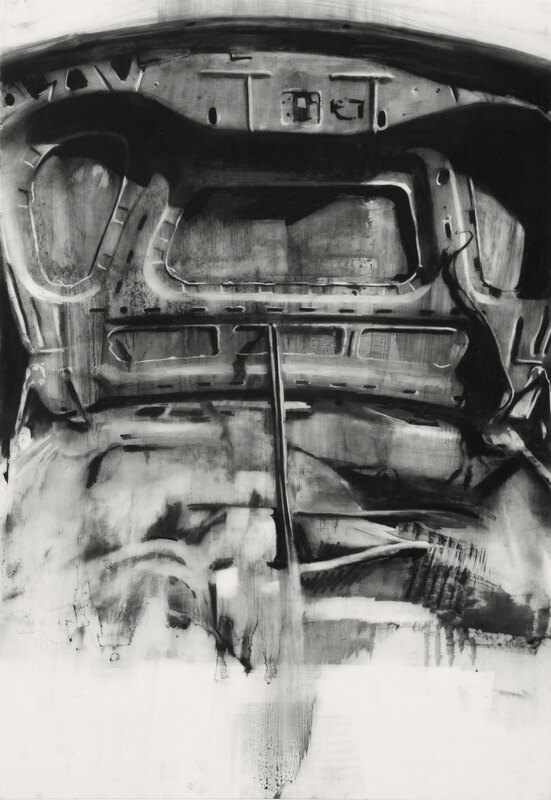 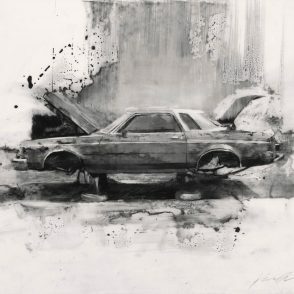 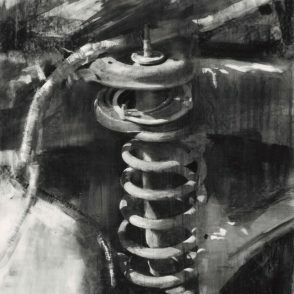 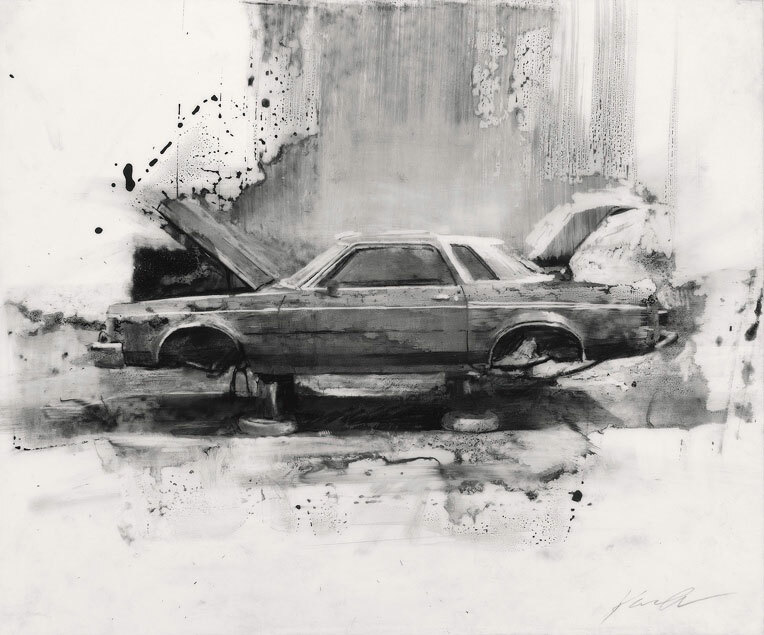 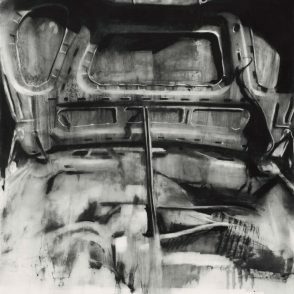 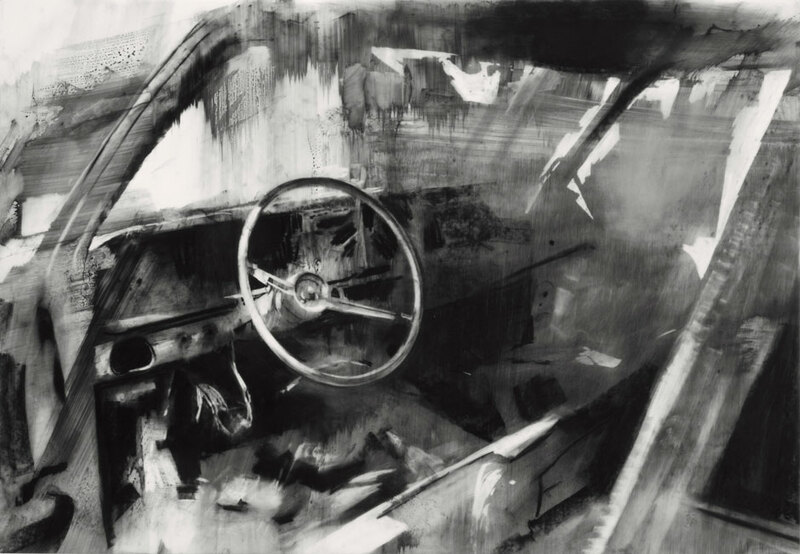 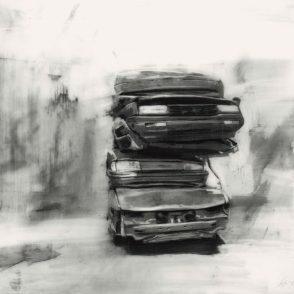 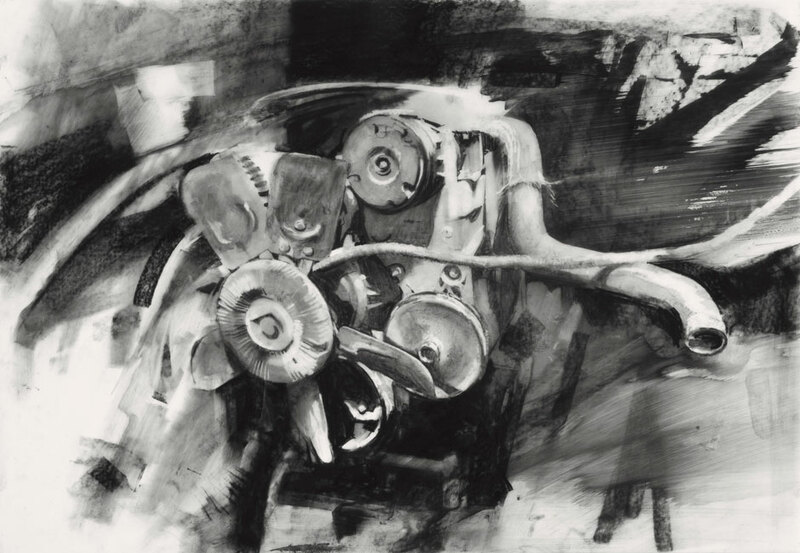 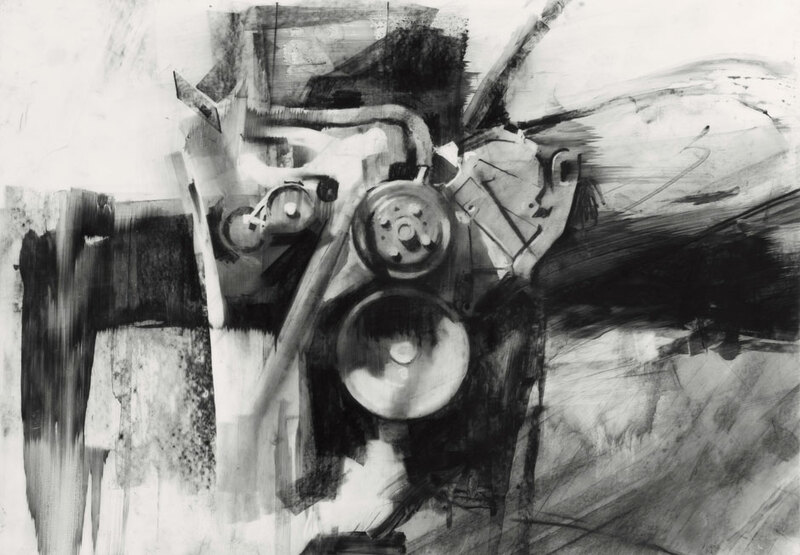 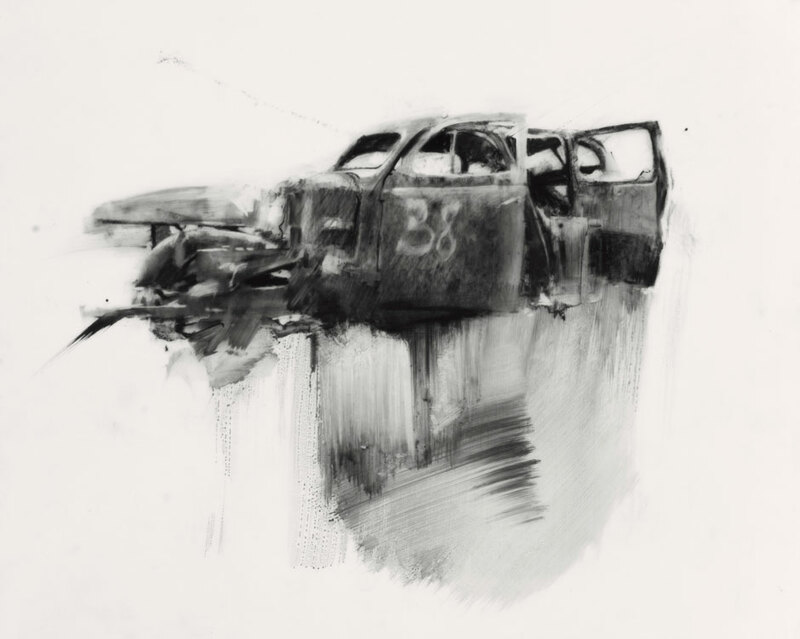 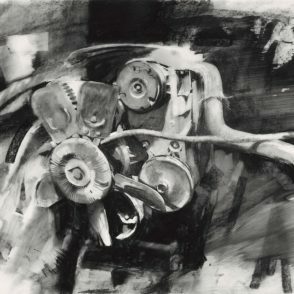 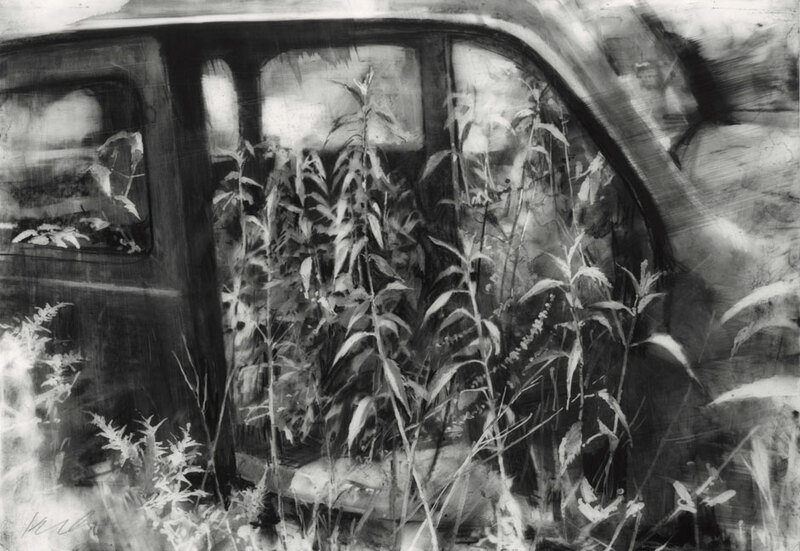 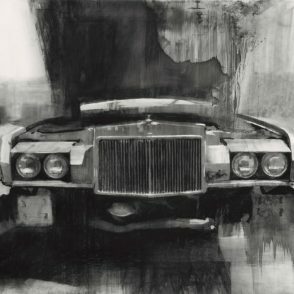 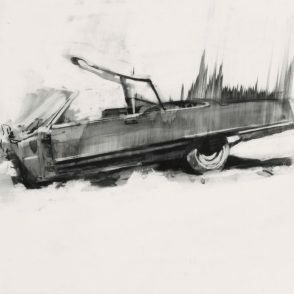 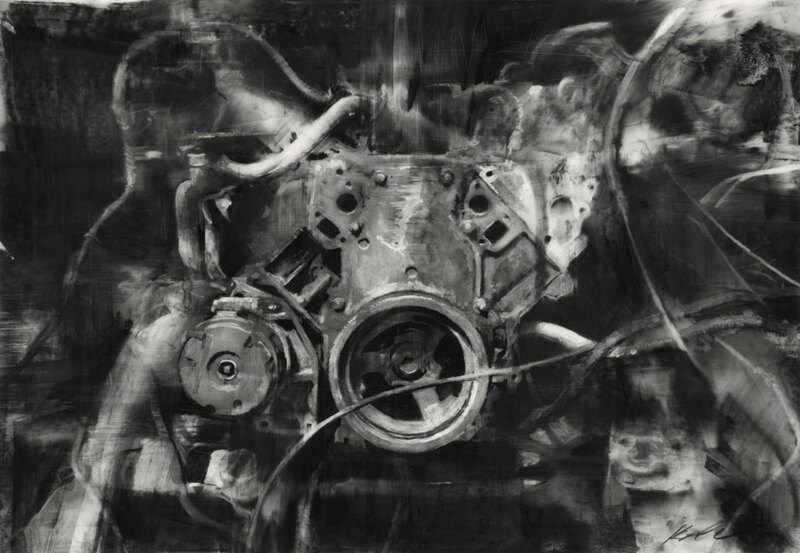 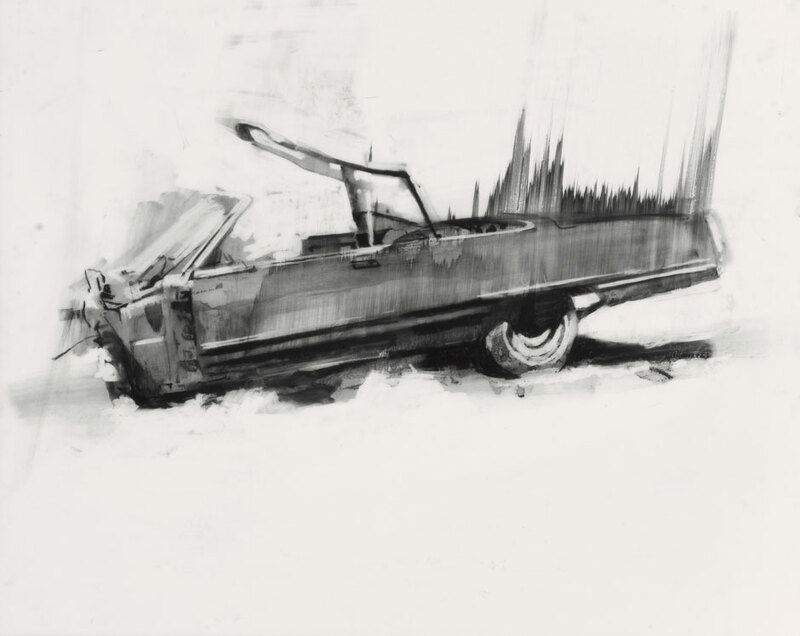 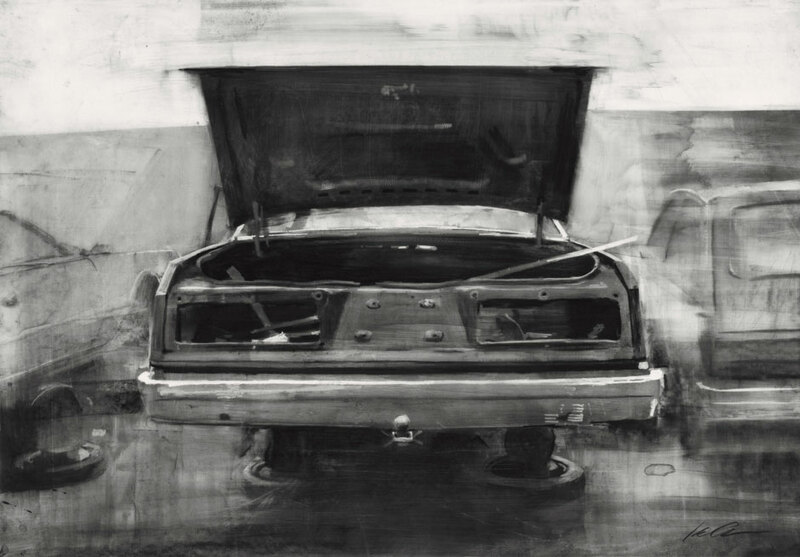 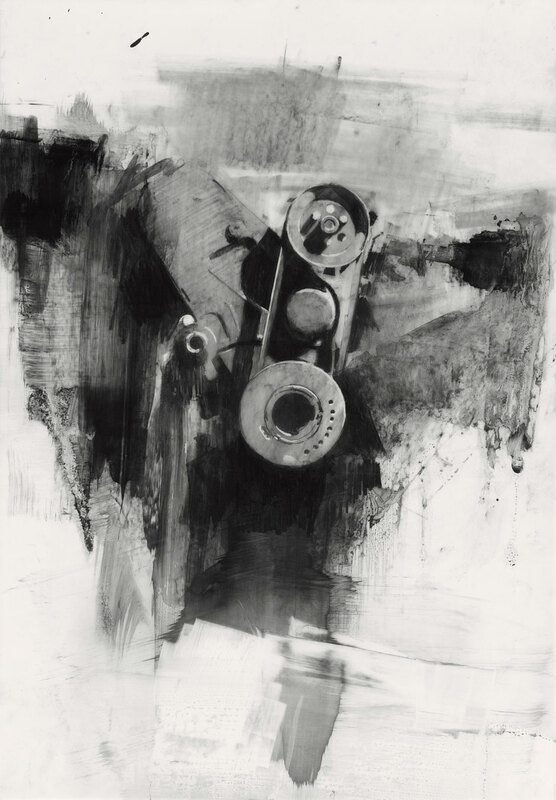 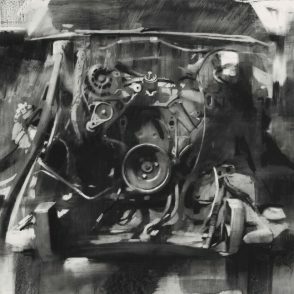 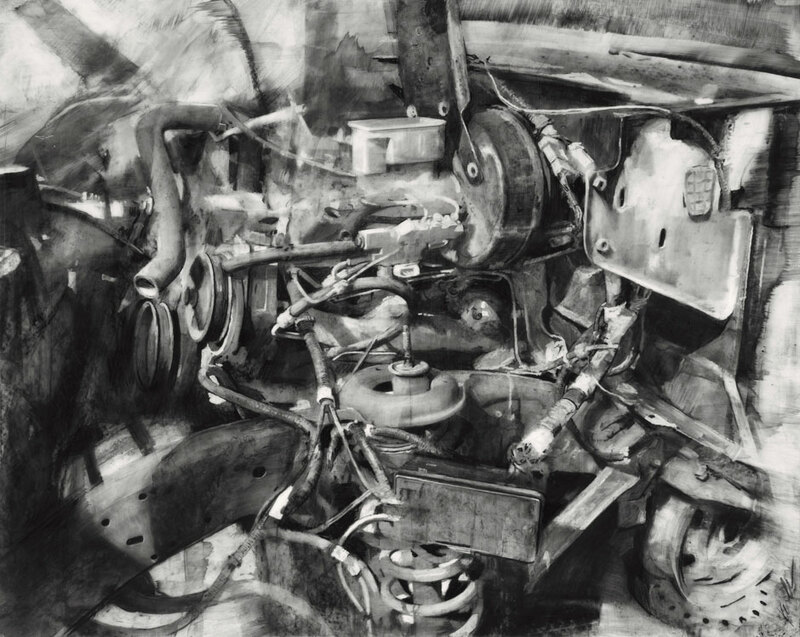 Many of the drawings focus on small sections or parts of the cars, the forms dissolving into or emerging out of backgrounds of atmospheric tone and texture. 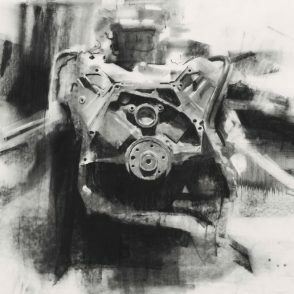 Over the past three years, the auto salvage drawings have begun to accumulate into a substantial body of work. 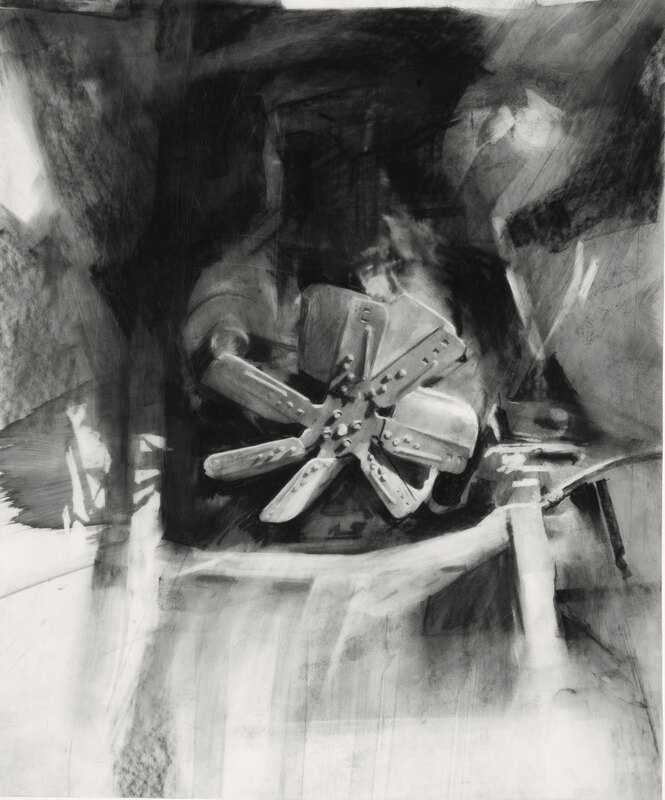 While the individual drawings stand alone, presented in a book, they combine to make a powerful statement. 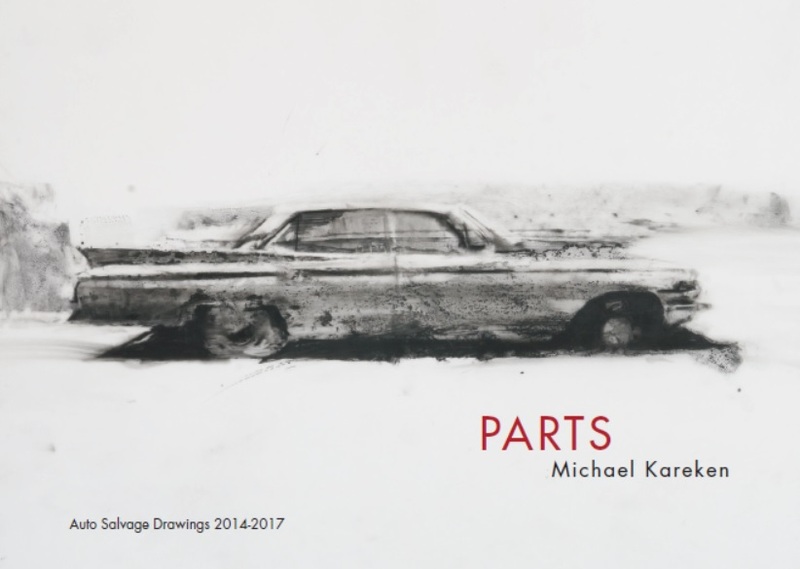 The book, PARTS, includes an essay by Christopher Atkins, Curator of Exhibitions & Public Programs at the Minnesota Museum of American Art in St Paul and a preface by Kareken. 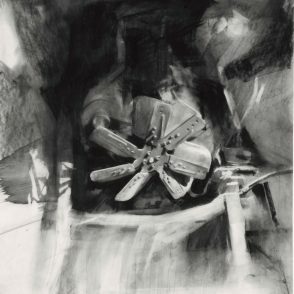 Both the book and the drawings will be for sale. 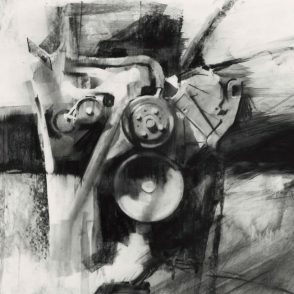 Copies of the book can be purchased in advance by contacting Groveland Gallery. 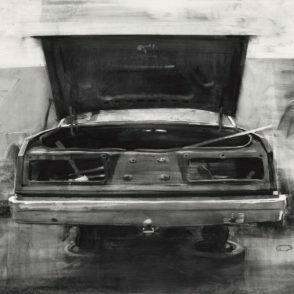 The artist will be present at the book release and opening reception Saturday, February 24 from 2-5 pm. 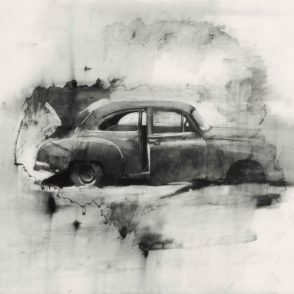 There will be a gallery talk with Kareken and Minnesota Museum of American Art Curator, Christopher Atkins on Thursday, March 22 at 7 pm. 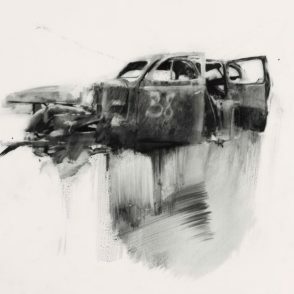 This show continues through March 31, 2018.